Astronomy fans are in for a big treat in the next week or so, as NASA is planning something huge at the gas giant Jupiter. A major event will be happening very soon at Jupiter, an event that will undoubtedly forever change our understanding of this massive gas giant that is the largest planet in our solar system. NASA will be using the Subaru Telescope here on Earth to take images of the weather in the planet’s atmosphere, and combine that data and imagery with an upcoming extremely close flyby of the Juno spacecraft to get the best image yet of the massive “red spot” on Jupiter’s surface. 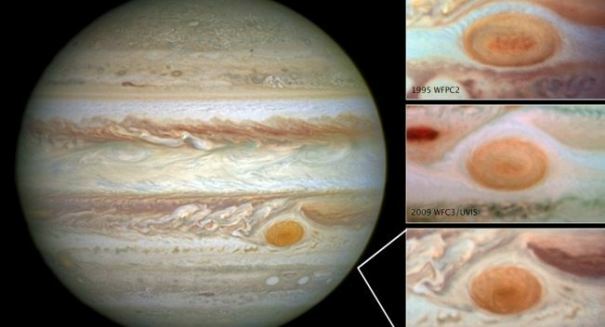 This huge, infamous storm has fascinated scientists for decades, and now we’ll be able to see it closer than ever before thanks to the combined efforts of the telescope and the Juno spacecraft, which will come within just 9,000 kilometers of the red spot on July 10. The Subaru Telescope is situated on the top of Mauna Kea in Hawaii, and uses the COoled Mid-Infrared Camera and Spectrometer (COMICS) apparatus mounted on the telescope to help with the Juno mission.